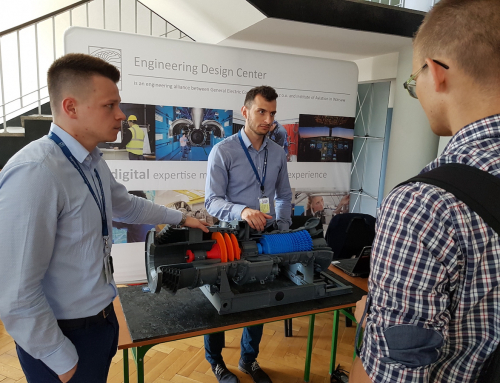 On April 26th and 27th GE Oil & Gas at Engineering Design Center celebrated its 10th anniversary. The two days included inner celebrations for EDC employees, as well as a conference where representatives of O&G companies, science and academia discussed the situation and perspectives for the whole industry. 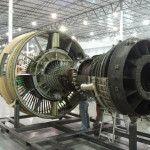 The event was also a part of 25 years of GE in Poland anniversary. On the first day, opened by Marian Lubieniecki (EDC Site Leader) and Witold Wiśniowski (Director of the Institute of Aviation), EDC Oil & Gas and their guests attended a meeting connected with presentations by Paolo Noccioni (TPS Engineering General Manager, GE Oil & Gas) and Kjersti Kanne (Digital Engineering Director, Subsea & Drilling, GE Oil & Gas). There was also a reminiscence discussion panel including some of the most experienced Oil & Gas employees, and awards handed to the influencers of EDC Oil & Gas history. 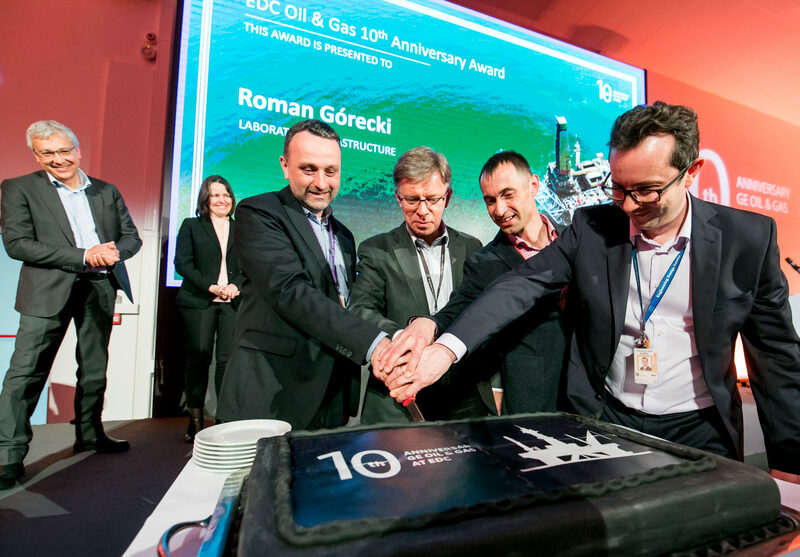 Everyone also enjoyed the anniversary cake cut by the four EDC Oil & Gas Managers (Aleksander Dąbrowski, Grzegorz Markowski, Jakub Kaczorowski and Karol Zakroczymski), and then networked together during lunch. The Oil & Gas Conference “Technology Outlook for O&G Industry 2025” on April 27th gathered many distinguished guests from GE, its customers and the science world. After being welcomed by Marian Lubieniecki and Witold Wiśniowski, attendees listened to speeches given by representatives of GE Oil & Gas, such as Michele Stangarone (President & CEO, Europe) and Paolo Noccioni (TPS Engineering General Manager) and the EDC Oil & Gas Managers. 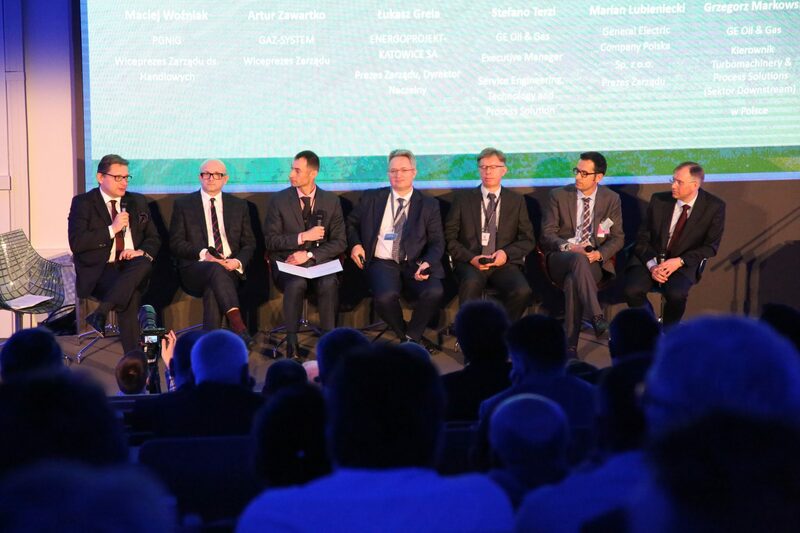 After that a discussion panel regarding key challenges facing Oil & Gas took place, with an attendance of PGNiG’s, Energoprojekt Katowice’s, Gaz-System’s and GE’s management. The day was closed by three interesting themed discussions on innovative technologies, digital revolution, and economical & environmental challenges of O&G industry, open for the EDC employees.